Rabbitware is a combination of transfer printing and stick sponge or spatterware. The plate measures 9 1/4 inches in diameter and transfer printed in black and painted with enamels in yellow, red, blue, brown and green. This folk art is a highly collected art form. 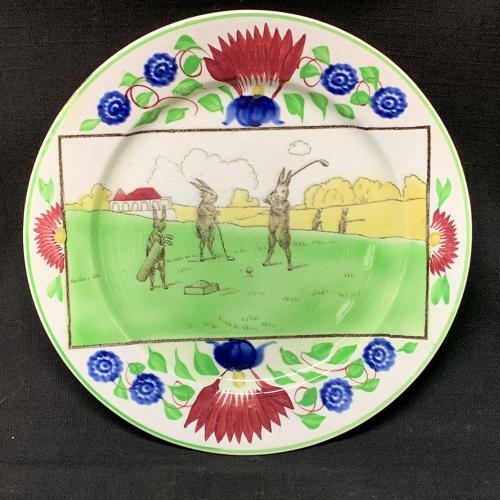 Rabbits portrayed as humans playing golf. Rare to find in this condition. Never Used. The piece is in great condition. There are no hairlines, cracks, or repairs.